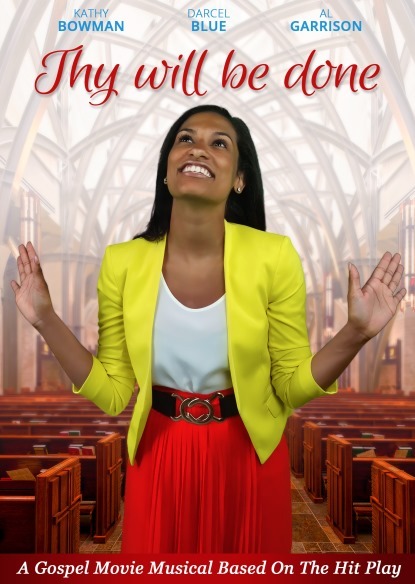 Studio City, CA – Lightyear Entertainment has announced the release of a new gospel musical film, Thy Will Be Done, an inspirational and uplifting film for the whole family, with an extraordinary original gospel soundtrack. The film stars Kathy Bowman, Darcel Blue, and Al Garrison, along with a talented group of quickly rising gospel recording artists. In the film, an ex-pastor, whose church was destroyed during Hurricane Katrina, loses his faith and becomes a homeless wanderer. After surviving a near death experience, he mysteriously awakens in a church that is in desperate need of a pastor. The DVD will be available on DVD at Walmart, Amazon, iTunes, and other physical and digital accounts on December 31. It is also available on Video on Demand on Comcast, Time Warner, and most other cable outlets. In a holiday marketing move, VOD went live December 1. The DVD will be released in the U.S. and Canada through Entertainment One Distribution. The film was produced and directed by Albert Johnson for Parable Entertainment. Lightyear Entertainment, a distributor of independent films and music, was founded in 1987. Lightyear has now released 40 films by African-American filmmakers.